It doesn’t get as unique as New Zealand! In this little corner of isolation in the South Pacific, New Zealand is a land of uniqueness. The country has evolved differently than the rest of the world creating bizarre creatures both on land and in the ocean, some of which you can definitely witness for yourself on a New Zealand gap year. Landforms are so diverse and so magical that it was considered enough of a fantasy land to become the backdrop to The Lord of the Rings. With that, there are so many things you can only do in New Zealand. This is only all the stuff you can appreciate by day. By night, New Zealand has a great view (even one of the best views) of the Southern Hemisphere stars. If that wasn’t enough to tick off your working holiday checklist, New Zealand also spent hundreds of years nurturing the fascinating culture of the Maori. 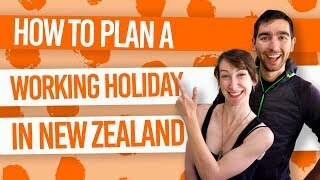 So check out the list below to see all the things you can only do in New Zealand. Also know as black water rafting, the tubing experiences take on a whole new level in New Zealand. A low level, in fact, where you will be taken deep underground though a huge cave network. Jump from small waterfalls into streams where you will tube your way passing glowworms. How can you not love these shiny maggots? Do black water rafting in Waitomo, North Island and in the Paparoa National Park, South Island. White Island is an active marine volcano just off the coast of Whakatane, North Island. Accessing it by helicopter feels like living the opening credits of Jurassic Park. Slowly approaching the dramatic island and landing in its heart to explore its crater is an experience that will stay engraved in your memory forever. White Island is in the Bay of Plenty. From its history, legends and contemporary way of life, the rich Maori culture is a treat to discover. Unique to New Zealand, the Maori culture is full of fascination, from the haka war chant to the amazing kai (food). Do not miss out of the most fascinating part of New Zealand’s human history when visiting Aotearoa (“New Zealand” in Maori). And read up on the Maori culture in New Zealand here. Check out the best New Zealand stargazing locations. Speaking of dark skies, did you know it is possible to see the Southern Lights from New Zealand? It’s certainly not a guarantee to your New Zealand gap year, but with a bit of research and a bit of luck, you can witness this magical magnetic phenomenon. Increase your chances by reading up on How to Spot the Southern Lights in New Zealand. 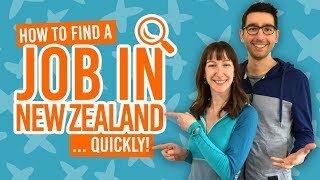 Ok, this might not be completely unique to New Zealand, but are you going any further south than New Zealand? Where else in the world can you catch dinner from a jet boat? Ok, ok, we are getting ahead of ourselves a bit here. The true story is that after getting your shot of adrenaline on the Waiau River, South Island, the jet boat will stop to let you enjoy the scenery and bag a trout if you are skilled enough. Then you head back to base as fast as you arrived. That’s not your standard granddad fishing trip! Check out the 17 Places to Jet Boat in New Zealand. The world’s only complete colossal squid specimen is on display at the Te Papa Museum in Wellington. The incredible size of the specimen will make you rethink this unreasonable fear of lovable sharks that you have… Those creatures are roaming our oceans as we speak, people! Te Papa is pretty awesome and here are 10 reasons why you should visit the museum. Geysers, steamy ground and colourful lakes are nothing unique to New Zealand. However, the sheer concentration of it in Rotorua, North Island, makes it a unique experience being able to get so close to the mighty earth breathing. Learn about how our host, the blue planet, lives and witness truly exceptional sights. Check out Rotorua – Guide for Backpackers. Yes, New Zealand is Middle-earth! We are home to Edoras, Isengard and, of course, Hobbiton. Visiting the Hobbit village is on top of the bucket list of most crazed fans coming to New Zealand. After getting a picture with every Hobbit hole in sight, you will be treated to a exclusive beer at the Green Dragon tavern. Enjoy it! This is the only place on Earth you will be able to drink it. Being a backpacker guide to New Zealand, we know some Lord of the Rings locations. Crazy! In Australia, you want to hug koalas. We might be biased, but personally we would rather hug a kiwi bird. The flightless bird is critically endangered and New Zealand is working hard on reintroducing it in the wild in selected reserves. A big part of the effort is financed by visitors like you that will visit one of two reserves or breeding centres where you get to learn about the life of the quirkiest bird on the planet. Where to See a Kiwi Bird in New Zealand.